Your name, your logo, your branding, your apps. 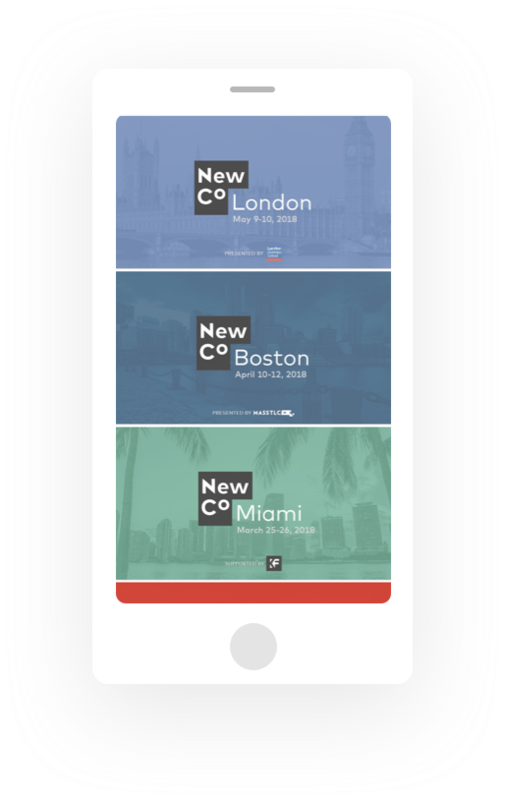 Built for both iPhone and Android, the apps let your attendees have the event details right on their phone or tablet. 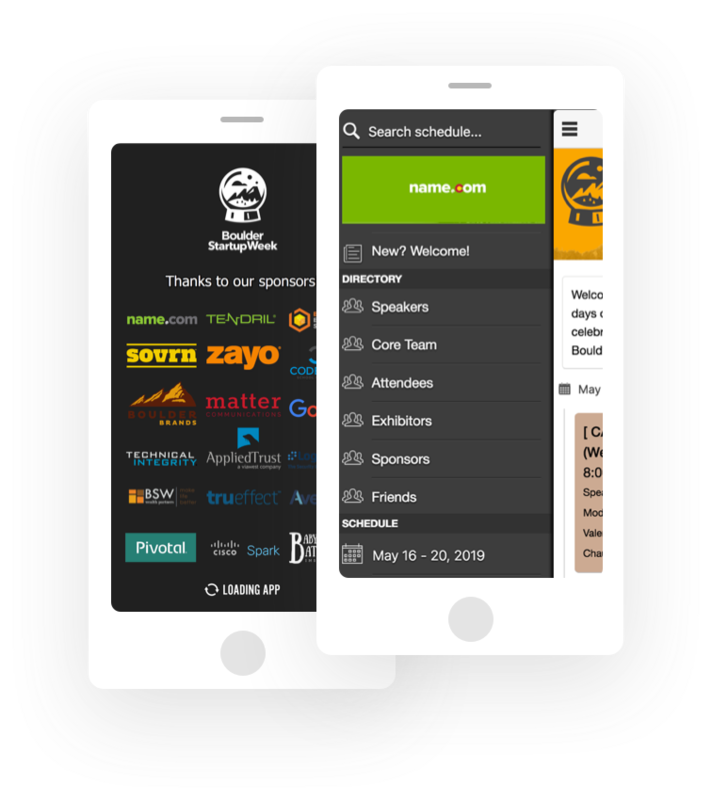 If your venue has limited wifi bandwidth or poor cell service, the apps store data offline so attendees can interact with the schedule even if their connection drops. 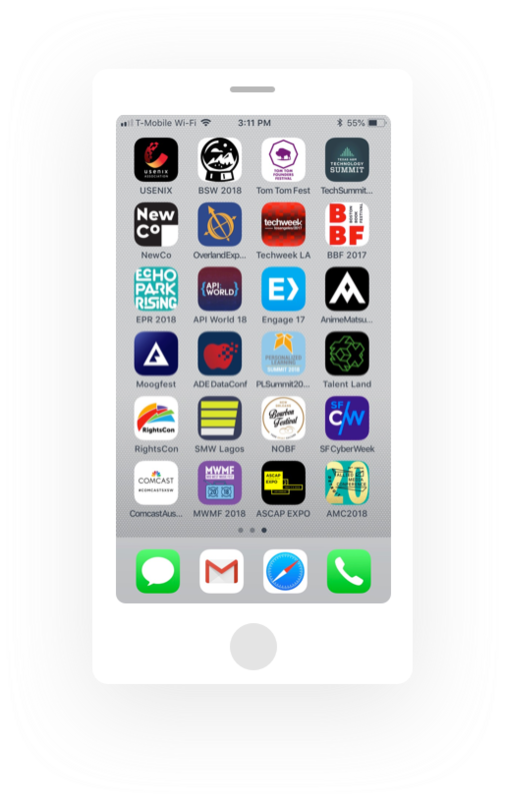 Help your sponsors reach your audience through in-app branding and give them the exposure they deserve. 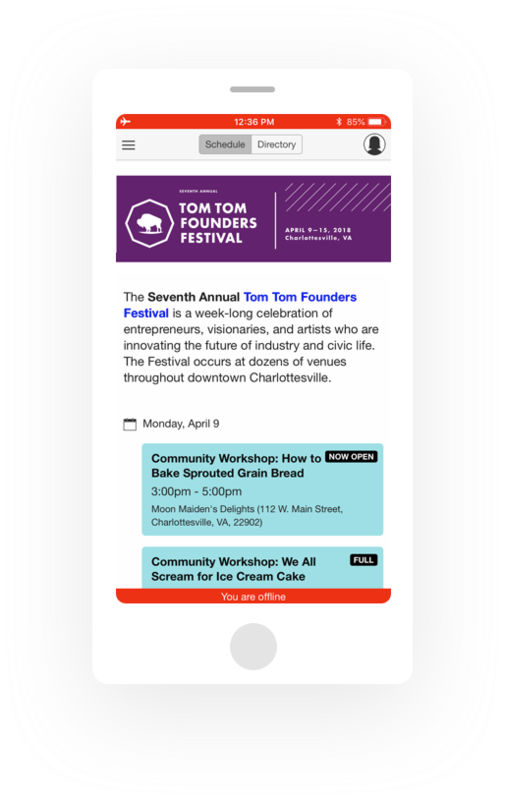 If you have more than one event, publish them all in the same app. Increase engagement and keep things simple by driving attendees to one app.